You might think of the Challenger, Charger and cheap performance when anyone says Dodge these days. But the Dodge Journey is something else. As a family-friendly SUV, the Journey is somewhat of a red-headed stepchild. Sure, Dodge still sells the Grand Caravan minivan, but the brand definitely has tilted more toward badass performance. But will driving the Journey mean some of that Dodge coolness will rub off on you? Will you intimidate other parents in the school pickup line? 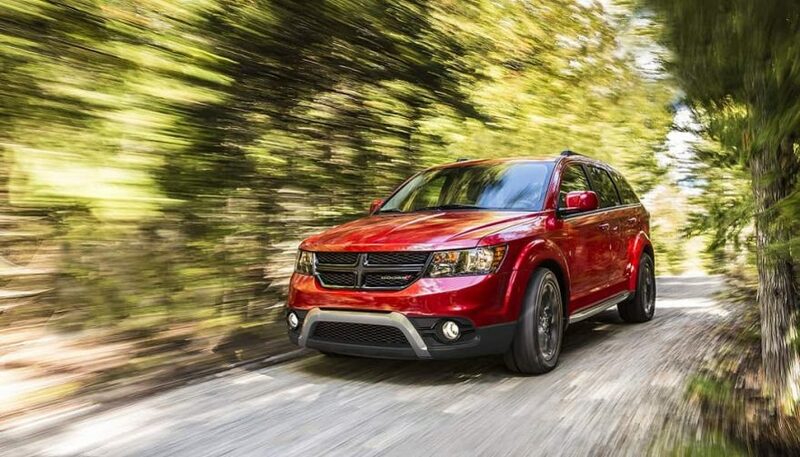 The Dodge Journey isn’t a performance machine. You get two engine choices. One is a rather anemic 2.4-liter four-cylinder, which puts out a measly 173 horsepower and 166 lb-ft of torque. More impressive is the 3.6-liter Pentastar V6, which whips out a meatier 283 horsepower and 260 lb-ft of torque. 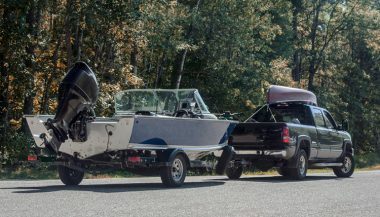 You can tow a maximum 2,500 pounds, which is enough for some small toys. Of course, many competitors are rated at about the same amount. You can get all-wheel drive, so this isn’t exactly an off-road monster, and Dodge isn’t marketing it as one. Speaking of clever storage, the in-floor storage compartments in front of the second-row seats are also handy. They can handle ice, making them perfect for storing drinks. The Dodge Journey is an SUV with a third row, which is a plus for some people. That front passenger seat will fold flat, and has a flat back, so you can load longer items, use it as a mobile desk, or whatever. With all the seats folded down, Dodge says you get 67 cubic feet of storage, which is okay. As for technologies, you can get pretty much what’s available in other SUVs in the same class. 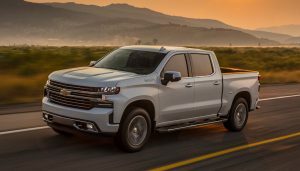 Among the items are a rear entertainment system, navigation, Bluetooth, a WiFi hotspot, keyless entry, blind spot monitoring, and the normal inventory. Nothing is a real standout. 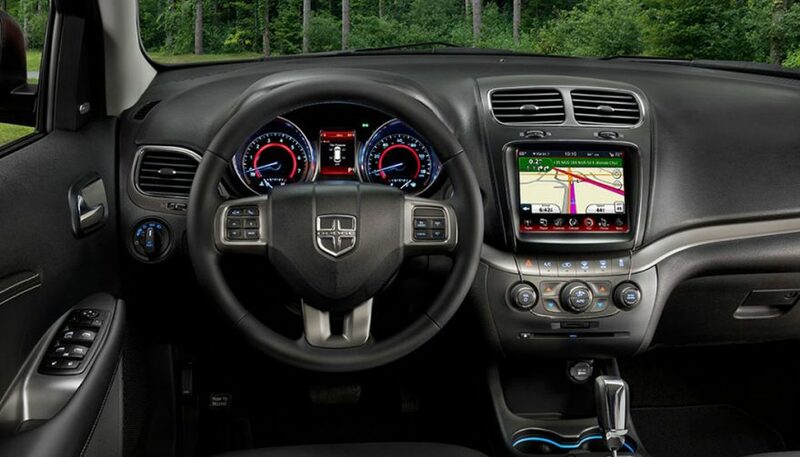 You should know that the Dodge Journey has had some problems with safety scores. You won’t find it on any list of safest SUVs. IIHS gave the SUV a Poor rating for the notorious small overlap front crash test. It simulates what happens when a vehicle hits a tree or pole with its front corner. Also, IIHS gave the SUV a Poor rating for headlight quality, so good luck seeing at night on a dark road. Parents won’t like the Marginal child seat anchors ease of use rating either. NHTSA also found flaws with the Dodge Journey, giving it a 4 Star Overall Safety Rating. Front crash-worthiness and rollover stability were the two issues. The Journey gives off a meaty, muscular persona, but without all the over-the-top bravado put off by its predecessor the Dodge Nitro. That’s a good thing, because the Journey isn’t trying too hard to be cool or tough. However, the Dodge Journey is surprising. The build quality is pretty decent, for a non-luxury vehicle that is. While the interior on lower trims features plenty of hard plastics, everything feels solid and durable, like you can climb around inside and load heavy items without breaking components. It’s not the biggest SUV, but the interior feels spacious enough. While the third row isn’t huge, it’s good enough compared to similar SUVs. In other words, just climbing around the Journey, it feels surprisingly competitive. I was expecting a weak and mushy time behind the wheel of the Dodge Journey. In some ways I was surprised, and in others my suspicions were validated. The four-cylinder engine makes the SUV respond like a turtle. Skip it altogether. Trying to climb steep hills or pass on the highway makes the little thing sound like it’s going to explode. The V6 isn’t going to take your breath away, but it does make getting up to speed on the freeway more manageable, among other things. It also takes on everything with more athletic grace. Handling shocked me. For a three-row SUV, the Dodge Journey turns sharp. That means you can maneuver through parking lots and other tight areas without sweating bullets. Visibility is good all around, but the optional rearview camera helps a ton. Your passengers won’t hate riding in the Journey. The seats are reasonably comfortable, with a good amount of padding and support. Just remember to get out and stretch during longer drives, and you’ll be fine. Sound insulation is minimal, so you’ll need to crank up the stereo and shout to passengers on the highway. Considering the budget-friendly nature of the Journey, that isn’t much of a surprise. The base Dodge Journey SE starts with an MSRP of $21,195. That’s cheap, and you have to look at the SUV in that light. To give you a feel for the price range, the top-of-the-line GT comes in at $31,995. If you have a limited budget yet need three rows, the Journey could be a good fit. Just know you’re giving on some areas for that lower price. 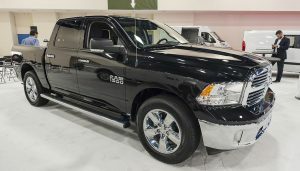 Ram Trucks have been the center of attention in the truck market in recent years. 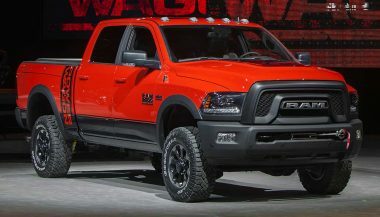 Check out the soon-to-be-released 2017 Ram Power Wagon. 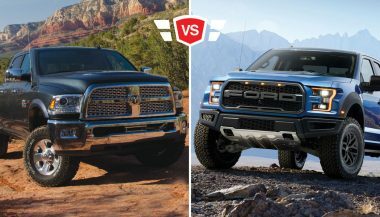 Is the Ford F-150 Raptor or Ram Power Wagon the better choice? Let's take a look for those who are about more than just image and aren't brand loyal. Today's trucks are capable of hauling thousands of pounds of weight at a time. We’ve compiled the 9 top trucks for towing.